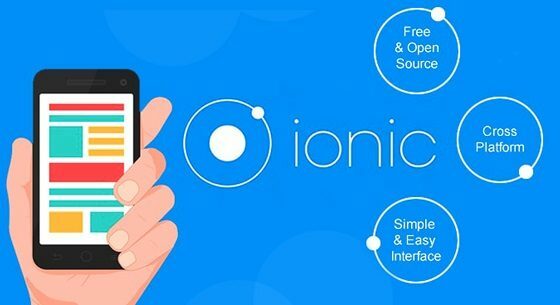 Ionic framework is open-source SDK targeted at building hybrid mobile app development. The Ionic was created by Max Lynch, Adam Bradley, Ben Sperry and was released in late November 2013. Built on top of the popular AngularJS and Apache Cordova, ionic framework apps provides amazing services and tools for developing native-styled hybrid mobile app. Apps can be built on most famous web technologies like CSS, HTML5, Sass and then distributed over native app stores. The main target of the ionic framework development is building a hybrid mobile app. Hybrid apps have numerous benefits over native apps, specifically in terms of speed of development. Essentially, ionic app development facilitates native mobile components to have an enchanting design and smooth animations. Ionic framework is completely free and open source framework. Ionic framework apps provides the functionalities of platform-specific optimized CSS to match the native look various mobile operating systems. One of the main advantages of Ionic framework is, it provides codes of mobile-optimized CSS, HTML and JS components and shortens the need of code rewriting. Development of the efficient, compatible and customized app plays an important role in app development. Ionic integrates into AngularJS which improves the structure that code, which in turn increase the compatibility with mobile platforms such as Windows, iOS, Android, etc. Ionic helps in developing apps quickly with an efficiency which increases the popularity of the app and helps to save time and money. In current trend Ionic Framework is the HTML5 mobile advancement system and is growing at an incredible rate. These are, some of the important features of the Ionic empower the Startup entrepreneurs to build a business app ionic framework at lesser budget.